cyberTribe presents SOLID - an International Festival of the Screen. 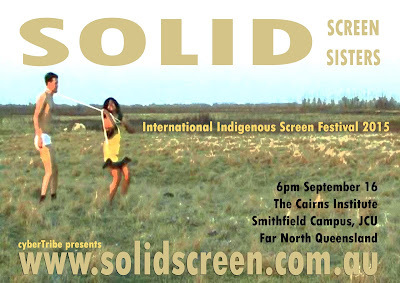 SOLID Screen includes a range of screenings from invited Australian Aboriginal and Torres Strait Islander, Native Canadian and Maori screen storytellers, that respond to important transformations that have reconfigured opportunities for experimental arts, remix and media arts practice, in recent times. The SOLID Screen Festival held on the 16th September 2015 screened works by women artists, it was open to the public, and welcomed men, women and children. The screen makers are interdisciplinary practitioners from artforms such as animation, video, interactive media, photography, writing, performance, film and new media arts backgrounds. 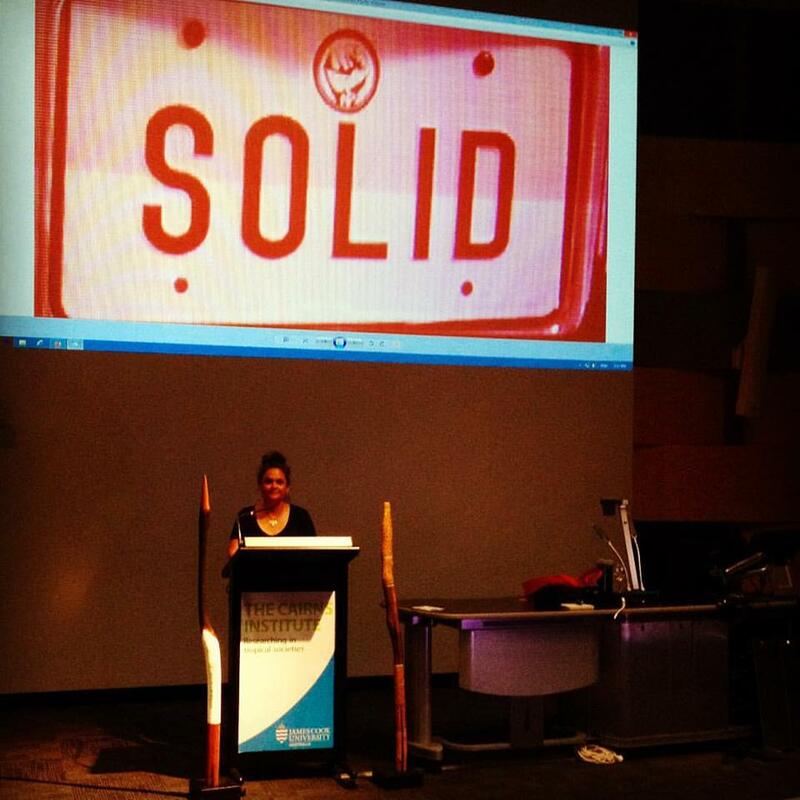 The screening took place at The Cairns Institute, Smithfield Campus, Far North Queensland. SOLID SCREEN Festival was a pre-conference event for The Tropics of the Imagination. Celebrating 15 years of cyberTribe online gallery events and exhibitions in 2015. SOLID SCREEN Festival is a part of the 'Directed by Women' program: a worldwide viewing party, bringing the global film community together for a powerful 15 day worldwide film viewing party rejoicing in the incredible diversity of films ‪#‎DirectedbyWomen‬: September 1-15, 2015. During this exuberant celebration, film lovers gathered together in communities around the world for film screenings & guest filmmaker visits designed to focus attention on and offer appreciation for women film directors and their work. 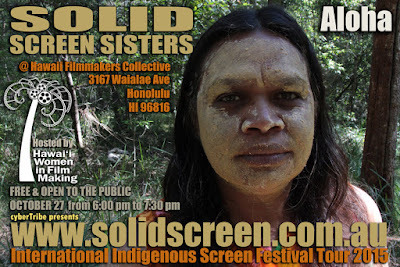 2016 SOLID SCREEN Festival Gold Coast * Australasia Pacificat Tallebudgera Creek Friday 9 September 2016. SOLID SCREEN Festival presents work by Indigenous Women ScreenMakers and acknowledges historically important screen culture. 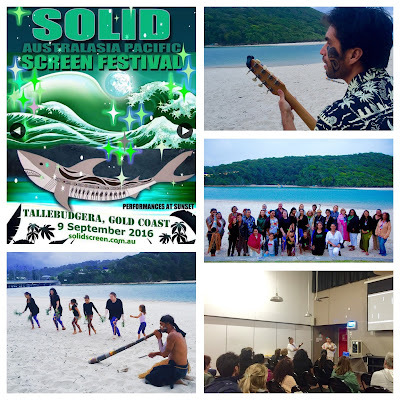 2016 SOLID SCREEN Festival Australasia Pacific took place at the Tallebudgera on the Gold Coast in South East Queensland, Australia. This event is a gift to the community so all women, men and children were welcome to attend this free screening and performance night. at Nungeena Saturday 29 April 2017. Streek Road, Sunshine Coast. Beginning at Sunset. 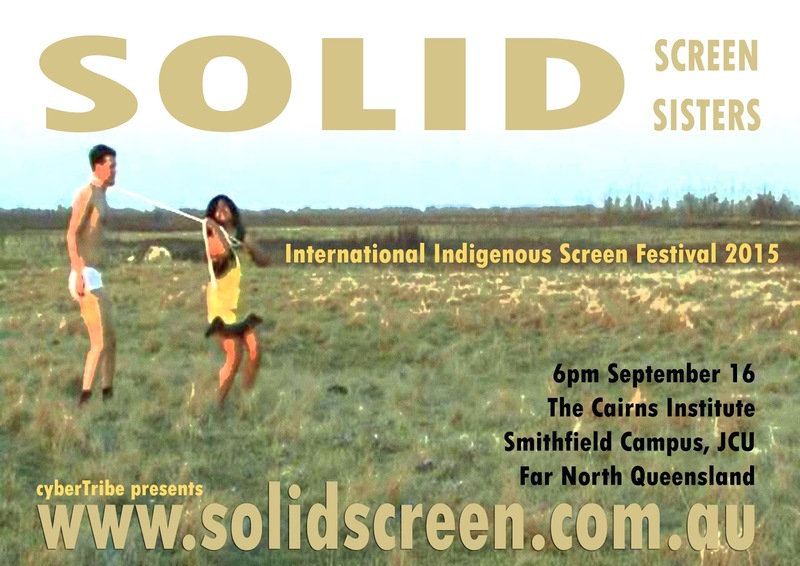 cyberTribe presents SOLID - an International Festival of the Screen. SOLID Screen Festival includes a range of short film works from invited Australian Aboriginal and Torres Strait Islander, Native Canadian and other Indigenous women Digital Storytellers that express the current state of culture in this political climate. Lynn Chapman, Semah Mokak-Wischki, Paulsy Casely-Hayford, Michelle Blakeney and Jenny Fraser introduced their films. The SOLID Screen Festival held on the 29th April 2017 screened works by women artists, and was open to the public, for all women and children. 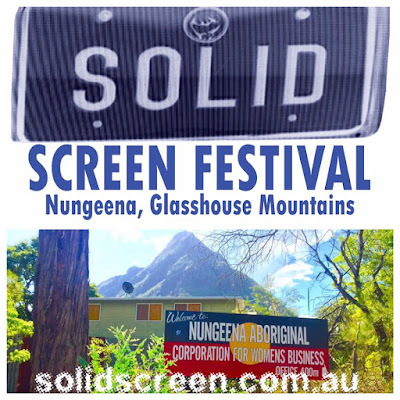 SOLID SCREEN 2017 is presented by Jenny Fraser and supported by Jirun Council, Nungeena and Screen Queensland.